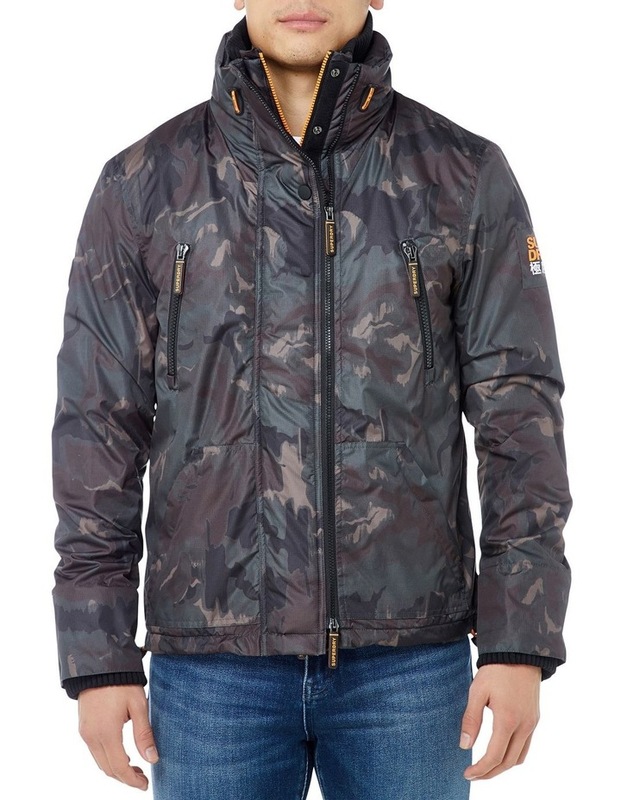 Superdry mens Polar SD-Wind Attacker. Part of the iconic wind family, fight the elements in the Polar wind attacker jacket. 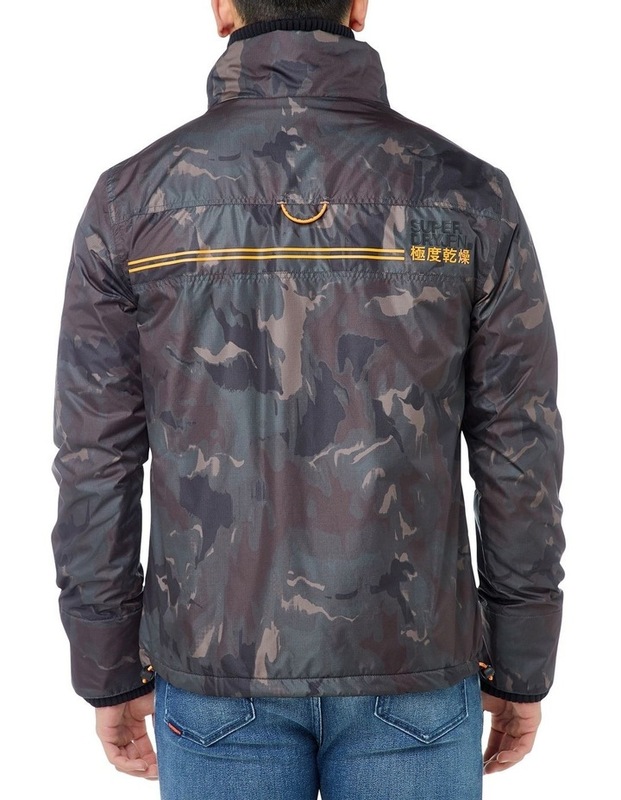 This jacket features twin stripes running along of the back of the jacket with a rubberised Superdry logo, a two-way double layer zip with hook & loop and poppers to make sure the draughts stay out and a rubberised Superdry logo on each sleeve. The Polar wind attacker also has a ribbed collar as well as cuffs with thumbholes and four zipped front pockets for practicality. 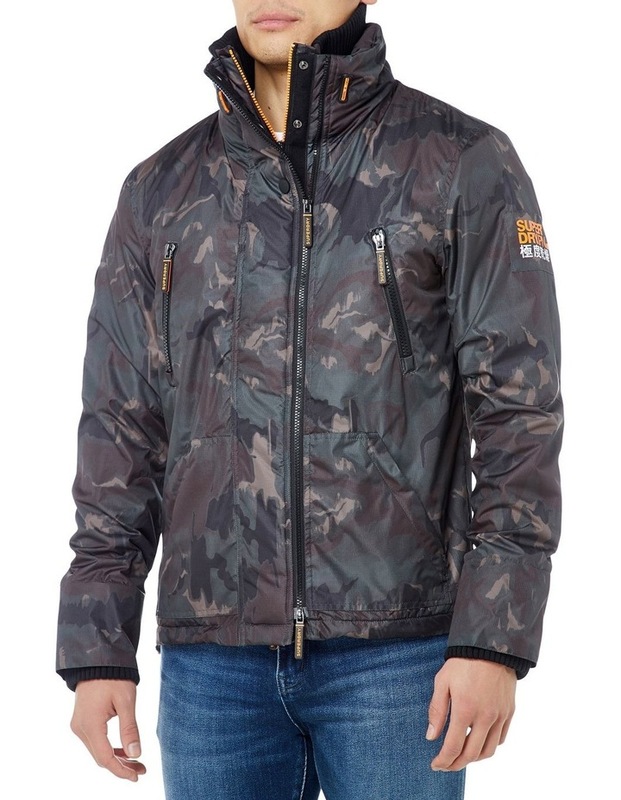 Inside, the Polar wind attacker is fully fleece lined, including the arms for added warmth. The lining has a single popper fastened pocket. The jacket is finished with bungee cord adjusters on the collar and hem.